A sad, sad day for lovers of great fiction and great journalism. You have to wonder what might have been. One, among many other, reasons I so love David Foster Wallace's writing is that in his prose I always imagined kindness ,humor and affection that all easily matched his profound intelligence and unparalleled voice. Little did Moore know that Bradbury’s bond to the Middle East was actually a strong one, especially to Baghdad, the city his imagination inhabited. 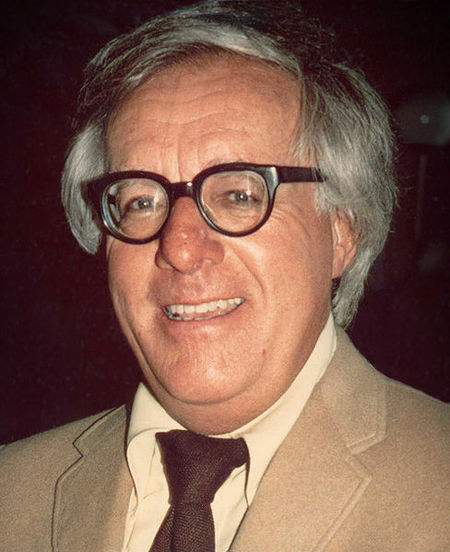 “We must be,” he often liked to say, “tellers of tales in the streets of Baghdad.” According to the best known study on Bradbury, Ray Bradbury: The Life of Fiction, this was “the central notion of his authorship.” Bradbury saw himself in the same tradition as the fantasy storytellers of Baghdad, of The Thousand and One Nights. Most critics will find the notion that Bradbury’s stories owed anything to the Arabic literary tradition as startling as the stories themselves. But Bradbury’s self-definition as an Arab storyteller mustn’t be ignored. Indeed, the science fiction tradition to which he by all rights belonged arguably began with a story by the medieval Arabic physician Ibn al-Nafis, whose 13th-century novel, translated as Theologus Autodidactus, is cited as the first science fiction novel, not to mention the science fictive attributes of the Theousand and One Nights themselves, as noted by writers from Robert Irwin to Gilbert Adair. Their imprint on Bradbury’s work is little-noted and buried beneath subtle allusions. Unlike his colleagues in the canon, Arthur C. Clarke, Robert Heinlein , or Isaac Asimov, little of Bradbury’s narrative concerns futuristic, dystopian descriptions, preferring, as Gerald Jonas puts it, “cozy colloquialisms and poetic metaphors” — which happens also to be a succinct summary of the Arabic oral tradition Bradbury claimed for himself. The Martian Chronicles narrated the conquest of Mars with little technological detail — as one astute blogger notes: “He didn’t focus on the engineering, his rocketship stories were clearly more influenced by the Thousand and One Nights than by the moon landings.” Bradbury acknowledged this debt more openly in his short story collection, The Illustrated Man, which adopts the frame narrative of the Nights, weaving unrelated short stories together, all told by the eponymous protagonist’s talking tattoos; the Illustrated Man, of course, is a re-invention of Scheherazade. But like The Thousand and One Nights, his stories were no mere fantasies; they pretended to entertain, all the while scabrously censuring not just the societies its characters inhabited, but those its audience inhabited too. Be it Scheherazade in the ancient past or Guy Montag in the distant future, they are concerned with abuses of authority in the present. Guy Montag’s role as a book-burning fireman was once most relevant to a McCarthyite America whose censorship of dissident views began to resemble the totalitarian tendencies it supposedly opposed. That was the 1950s. Today, Fahrenheit 451’s lessons are less relevant to America than they are to another region, a region close to Bradbury’s heart. Michael Moore so angered Bradbury because the film Fahrenheit 9/11, with its provocative subtitle, “the temperature at which freedom burns,” trivialised his warnings. Bradbury believed America had truly recovered from her perturbing past proclivities. “I don’t believe that any of the governments of the past 60 years, including the current one, are guilty of using war to aggrandize their power.” he once said. But the film’s concern with the Iraq war did edge the novel’s relevance towards the region where those perturbing proclivities are these days most widespread. For it is the Middle East that now has most to learn from Bradbury. I don’t mean his whimsical solution to the Israeli-Palestinian conflict, “to create a new Jewish homeland in South Florida,” even if many in the region are likely to sympathise. The Middle East remains by far the most censored place on earth with more banned books than the library of a Roman Catholic parochial school. Where flag-burning and cartoon-burning are well-documented, the escalation into book burnings is a justified fear. This refocusing of Bradbury’s relevance is only to be expected. When writing Fahrenheit 451, he was in fact thinking of the Middle East all along: “I wasn’t thinking about McCarthy so much as I was thinking of the library of Alexandria 5,000 years [sic] before.” In the Egypt I inhabit “5,000 years” later, voters are currently faced with a choice between Islamist repression or repression of Islamism, two authoritarian candidates with little appreciation of freedom of expression. No one has advocated book-burnings, but book-bannings — a less gruesome cousin — remain the order of the day, many politicians even calling for the infliction of that fate on Egypt’s own greatest novelist, Naguib Mahfouz. No wonder that a few years ago a cultural exchange promoted by the National Endowment for the Arts picked Fahrenheit 451 as the focus of reading groups in Cairo and, unmissably, Alexandria. Of course, like a medieval jester in Baghdad, he pretended to be a mere teller of tales. Let us in the Middle East not forget that he was also a teller of truths.